Genuine splendor comes out as a outcome of the dressing style and design with this black colored party wear embroidered suit. 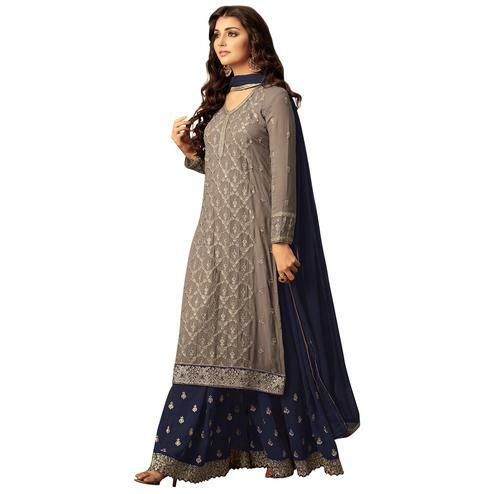 The suit is made of georgette fabric and is embroidered beautifully all over. 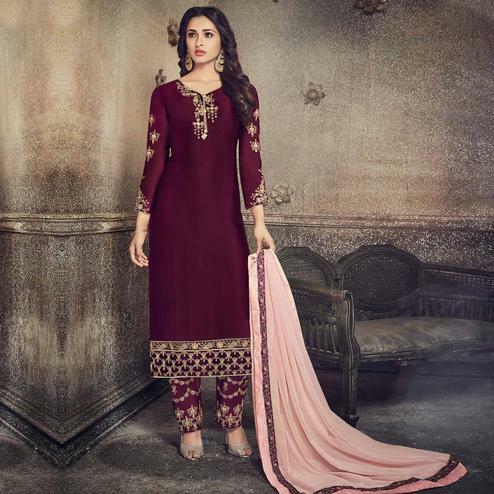 It comes with a contrasting georgette bottom and santoon lining with chiffon dupatta which make the color combination of the outfit so appealing to the eyes.The outfit can be stitched like a skirt of a palazzo. You can wear this at wedding, festivals, social gatherings, family functions. Pair this with beautiful jewellery and heels and you will look stunning. Length Chest upto 42 - 46 inches and length upto 44 - 46 inches.